Venturing off the beaten trail with your Mitsubishi will oftentimes entail driving through rough surfaces and close encounters with kangaroos who are eager to come to say hi. And anyone who’s been in a close encounter with a ‘roo knows how powerful they are, and the damage they can do if you accidentally hit them with your car. Suffice to say, they’ll leave you stranded in the middle of nowhere and possibly ruin your engine and entire front end. In order to avoid all of this, there’s a simple and affordable solution – bull bars. Bull bars or as many Aussies like to call them, ‘Roo bars, are a big piece of manufactured metal specifically designed to protect the front end of your vehicle from collisions. They’re typically used by off-roaders and people who tour long-distance to protect themselves from impact by animals or debris. If you are on a budget and are looking for quality but affordable bull bars, online is the best way of shopping for you. 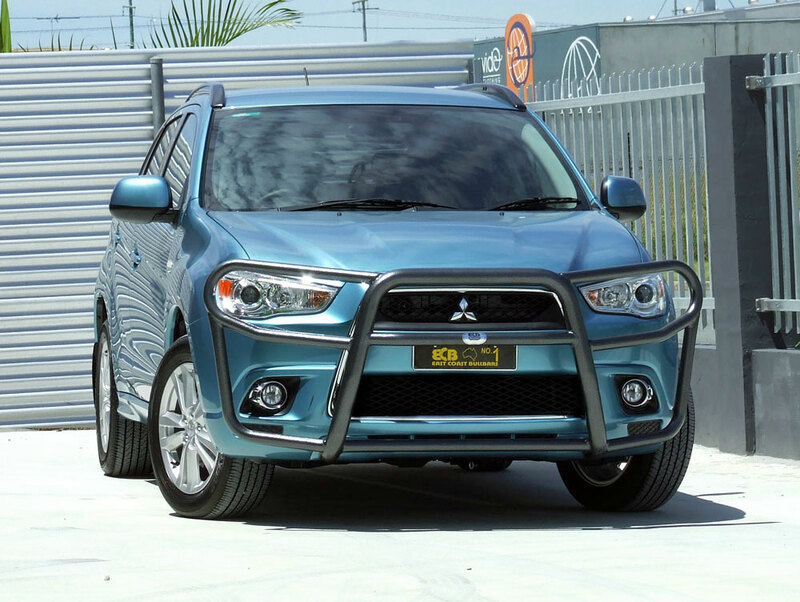 When looking at Mitsubishi bull bars for sale you’ll come across models made of steel, plastic, and aluminium. Stainless steel is the most popular material bull bars are made of, simply because it’s incredibly strong and durable. If you hit something with a stainless steel bull bar, chances are the bull bar will stay intact, and so will your vehicle. I can’t guarantee that the object you hit will have the same fate though. Furthermore, steel bull bars require little-to-no maintenance. The trade-off is that they’re very heavy, and may increase your fuel consumption slightly. Aluminium bull bars are also quite strong and durable, but not as much as stainless steel ones. However, they’re much lighter and typically more expensive as a result. Moreover, aluminium bull bars usually look slightly better on most Mitsubishi models, especially if they’ve been polished. You’ll also come across plastic Mitsubishi bull bars for sale, but those are a recent contender. They’re the lightest of all materials, but they’re also the weakest. That being said, plastic bull bars are used for driving in the urban environment for the most part, and they’re designed to reduce the impact on pedestrians. Regardless of which type you end up choosing, it’s important to consider whether high-lift jack points and rated tow points matter to you. Some models have them, while others don’t. If you’re comparing two bull bars, one of which has a rated tow point while the other doesn’t, always go with the one that has it, simply because that means it’s been inspected by third-party engineers and confirmed to be reliable and durable enough to withstand towing.